Where the cold and unforgiving climates of the world reign – Siberia to Scandinavia, North America to North Korea – the slender and graceful birch tree thrives. Minnesota’s north woods are abundant with the paper birch, Betula papyrifera, and humans have long made use of this giving tree. Its bark, sap, and even the fungus that grows on it, hold useful and medicinal properties. Consider the many uses of birch by Native Americans. The waterproof bark – evolved to protect the easily rotting wood – made lightweight canoes, baskets, and kept rain out of homes. The resinous birch “tar” was also used to fill canoe gaps, cure leather, and as a healing salve for mosquito bites and skin sores. Birch is still used in Native American culture and crafts. Birch wood is also valued for its light color and beauty in building and home applications, from plywood to cabinets and also butcher block countertops. And, if you need to start a fire in rain or shine, birch bark catches easily and burns quickly. But, did you know it’s also sweet? Literally. Flambeau River Papers, a manufacturer of premium paper products made from birch, also makes a sweetener called xylitol from the very same logs. Xylitol has a growing demand in the sugar-free gum and mouthwash markets. Medical data show that it is superior to other synthetic sweeteners in promoting dental health. Surprisingly, that amazing bark is considered a waste byproduct of the lumber and paper industries. That’s why the University of Minnesota’s Natural Resources Research Institute in Duluth established a lab to study ways to extract the valuable properties. Today, there are multiple research arenas with studies underway to better understand birch. At NRRI, patented processes for extracting the valuable chemicals in birch bark have launched a start-up in Two Harbors, Minn., called The Actives Factory. The healing properties of triterpenoids acids could be valuable to the growing nutraceutical industry1. The University’s School of Medicine, Center for Drug Design, is studying how to use these natural chemicals to make new cancer drugs. Other products NRRI is developing from the birch bark include suberinic acids, which can be made into bio-based plastics. 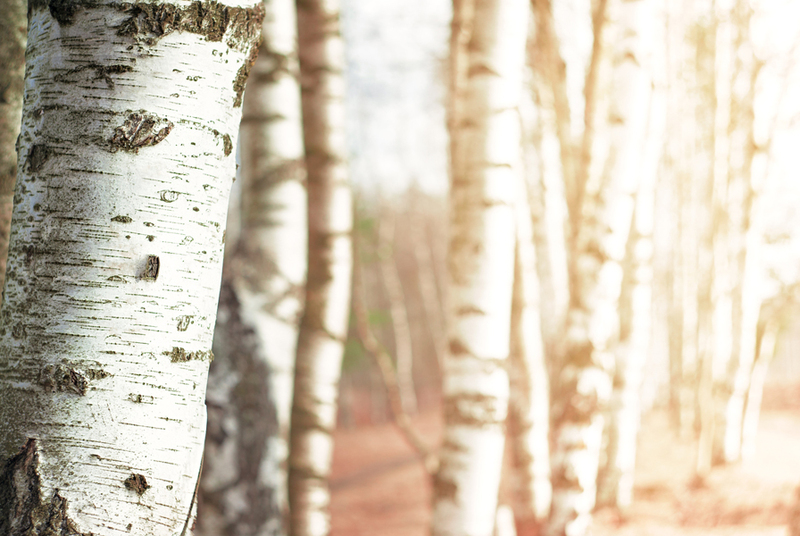 Recognizing all the components that the powerful birch tree has to offer can help Minnesota transition to a bioeconomy that makes the most of its resources. NRRI’s goal is to develop a portfolio of high value opportunities and inform decision-making for resilient communities. For more information about NRRI’s bioeconomy and wood product research initiatives, click here. 1 Products derived from food sources that are believed to provide additional health benefits like prevent disease, increase life expectancy, etc. This is a guest blog post from our member, Natural Resources Research Institute. To submit a guest blog post for consideration on this site, you must be a member in good standing. Contact us for additional information.